The idea is simple - sign up to say that one class will spend one lesson outdoors on the day, however many schools do a lot more! Last year over three hundred schools signed up with activities ranging from planting wildflowers, bug hunting and pond-dipping to inspiring class visits to beaches, farms and parks. Since its first year, Empty Classroom Day has grown and spread worldwide. In 2014, schools took part from Torpoint to Inverness, and from countries as far and wide as China, Australia and Pakistan! The goal is for there to be empty classrooms all over the globe, with pupils learning outside! Every school can participate, they sign up and pledge to spend at least one lesson outside on the day. What they do is up to them - From pond-dipping to planting, tree-climbing to picnicking; the possibilities and learning opportunities are endless. 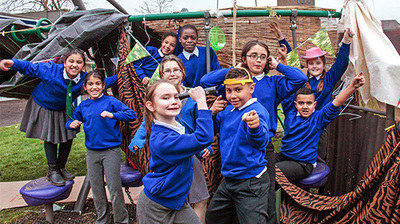 Turn an ordinary school day into an amazing adventure by making dens with your pupils. Save the Children’s Den Day is a brilliant way for children of all ages and abilities to get creative and learn independently. And the sponsorship they raise will help build a better world for children who don’t have anywhere safe to shelter tonight. 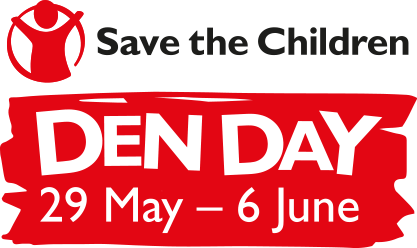 Sign up now and you will be able to get a super Den Day kit, full of den-building advice, lesson plans, and fundraising tips. Let your class head off on a Den Day safari without leaving the classroom. Use bed-sheets, bunting and pegs to create an awesome indoor teepee, make some binoculars out of cardboard, and maybe some cut-out animals to spy on. If the weather’s fine, why not fix up a den in the great outdoors? Decorate a solid structure like a climbing frame with sticks and leaves – and remember to bring plenty of blankets and rugs to keep warm! Whether you’re planning a camp-out style sleepover or simply a school day with a difference, sign up now to receive the special Teacher’s kit. It’s full of loads of tips and hints to help you weave some Den Day magic – and loads of extra learning – into your lesson plans. For a long time I have been using inspiring videos and stories as part of my Whole School Assemblies, Class Assemblies, PHSE and Circle Time. Sometimes when I just want to use it as a hook to talk to the children about an issue or event. This has meant I have been keeping a folder of links and videos that I could share. I do quite often share these links via Twitter (@WatsEd) and shared many of them with Assembly Tube (@assemblytube). After making a request on Twitter for teachers and education professionals to share image of their Outdoor Learning Environments, I received a tweet from @pipkinzoo (pictured below) describing her journey setting up a school farm. This sounded really exciting so thought I would create a section for this all of it's own. Pictures 5-6: How things look now. Pictures of hen houses and animal room - Coming Soon! ...and a couple of things I wish we’d done differently! In 2010-11, we were asked to setup and run the Diploma in Environmental and Land-based Studies for our area, for the simple fact that we had a large site! Other schools were asked to run the various other diploma streams for students in the area. These qualifications are now defunct but we have been able to find other courses that can use the foundations laid by the £7000 funding we were given to set up the farm, although this has grown as time has passed and as money has been available. The first job was to choose a site within the school grounds, this was made easy by the head at the time as he offered me the patch of grass in the picture, as it would prevent students from playing football there and kicking the ball at the windows of the various offices overlooking it! We have since found that the land does not drain well and this is something to seriously consider if you do get a choice of sites for your outdoor activities! I decided we needed raised beds and a polytunnel and that these would be within the fenced area in order to keep everything together. The beds were uncontroversial (though the grass paths between them were gradually replaced with bark chippings provided by routine tree surgery in the grounds). However, if you are having a polytunnel, I would advise buying the biggest you possibly can as it is very frustrating to not be able to fit a good number of students into ours. It does double as a barn for our hay and straw in the winter but we don’t perhaps use it as much as we could, mainly due to the size limitations. We also have a little garden shed which is our animal feed room (we use filing cabinets to store our food but do check the regulations carefully). We sourced plastic chicken houses as these are easier to keep clean and parasite-free, and they are also available with pop-holes that have light sensors that mean you don’t have to stay at school til sundown in the summer to put the hens away! This was only possible because we also have covered runs around the hen houses. We have several foxes which live on site but have never lost any hens to the fox yet due to this setup. We had a few hens and some other small animals to see how having animals on-site would work before going any further. Once we had weekend cover (me, in the first instance, later with paid help) we decided we wanted to keep some pigs, and these are shown in the first picture. The area quickly became bare earth and looks very similar to the Somme in the winter, so we try to keep pigs from spring-autumn only and sometimes borrow them for a short time rather than keeping them for the full 6 months a rare breed pig should be allowed to have to reach maturity. The lighter colour pig actually went back to our supplier to be their breeding boar and we have had his ‘grandchildren’ here too. We do sell the meat, this took some getting used to but the sausage-making lessons always go down well! We have branched out into showing as well and attend several agricultural shows each year, and are active members of the Junior Pig Club. As pigs are a bit seasonal, and ultimately temporary, we found some money to fence another two areas and to get hold of some sheep to keep as pets and sources of fleece. Sheep are certainly more labour intensive and I am glad we began with pigs as they are very straightforward to keep, sheep being more delicate and needy. However, our four behave like woolly dogs and the students are able to get hands-on with coaching me in carrying out worming, sheep trimming and so on. Future plans are to re-instate the gardens, we are looking at African keyhole gardens and the three sisters method used by Native Americans. We will be at shows with the pigs again this year, and we look forward to our primary school visits re-starting in the spring. Oh and finally there’s the small matter of maintaining the excellent exam results we've achieved so far! Livestock comes with paperwork and laws to follow, rightly so, but once you get the hang of it they aren't too difficult and I am always happy to advise anyone on this topic. The School Farms Network is also an excellent source of help and guidance. What Books Should a Child Read Before Leaving Primary School? Last year I posed the question to Twitter and Facebook – What books should a child read before they leave Primary School? The response was incredible – over the next 4 days, I received almost 200 suggestions for books people would recommend for children in EYFS, KS1, LKS2 and UKS2. Thanks to everyone who added books to the list, re-tweeted and shared the links. For the rationale behind the request, rather than write it again read here: What books should a child read before they leave Primary School? There is naturally a great deal of room for discussion here. This list is not meant to be taken in any way as my opinion for core or supplemental books as part of any curriculum. It does however suggest some possible books for class reads, some obvious, perhaps some less so – I know that it has given me some different ideas. Please feel free to comment if you have any additional books or thoughts on the list as it stands. It is shared in its original form, the book types and age recommendation come from the people who offered the books – not me. I would like to share my nominations here. I haven't nominated in every category but I have in most. A seemingly endless supply of resources for curriculum and assessment. Michael has the ability to post excellent commentary of the issues of the day. The task of collecting blog posts from around the web and maintaining this mix is challenging, yet always a good place for interesting and thought provoking read. Lee Parkinson's class blog leaves me in awe of the fabulous experiences he shares with his class! Again Lee Parkinson, his knowledge of new apps and tech is second to none. As is his willingness to share it. Graham Andre's site is a resource which grows on a daily basis. Along with his good nature and keenness to collaborate. I would love to know just how many schools have used Michael Tidd's resources in developing their own curriculum and assessment? I know that I did! Twitter Coaching, Culture Box, his Agility Toolkit, Teach Meets - Amjad is involved in what I consider some of the best of Twitter. The first Primary focused edchat on Twitter - Mondays 8-9 pm UK time. Getting bigger and bigger each week! One I have only recently started to use - but it is a mightily impressive collaboration tool. 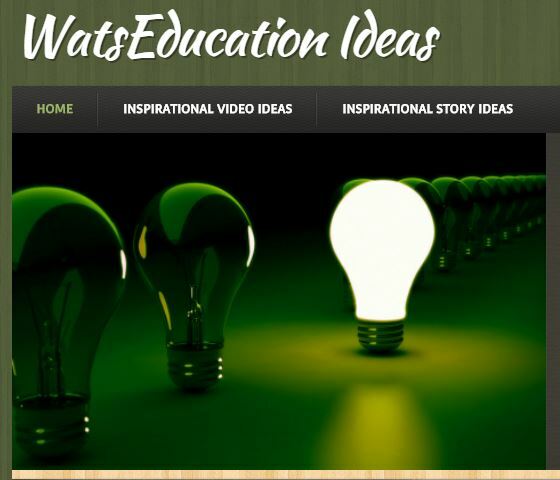 Rob Smith's multimedia site is a vast archive of video resources for every possible occasion and purpose. I wonder what we did before it!? 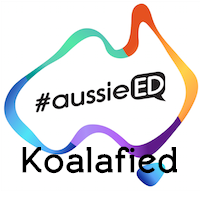 The network of educators from Australia has grown into a global brand now. I feel privileged to be a tiny part of that network. It's high level blend of innovation, collaboration and education is very impressive. One of the best apps I have ever used in a classroom. Alongside its partner Pupil Edition, Exciting Sentences can have a dramatic impact of pupil's writing. Thank you for reading, blogging and tweeting.